So you’re in love, congratulations! The world is now dipped in a rose gold hue, and everything in it is overwhelmingly beautiful. 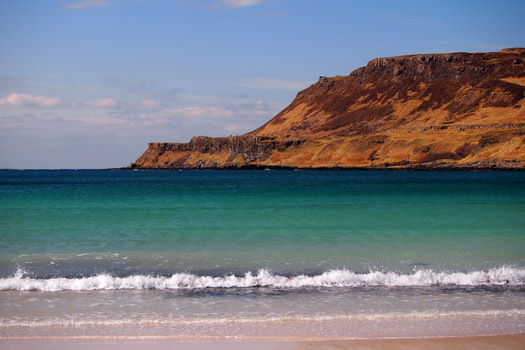 Get yourselves to Scotland for some of the world’s most romantic spots, and fill your hearts with this newfound bliss without emptying your pockets. It doesn’t cost anything to walk up this formidable rocky outcrop behind Edinburgh, which is arguably one of the most romantic cities in the world. 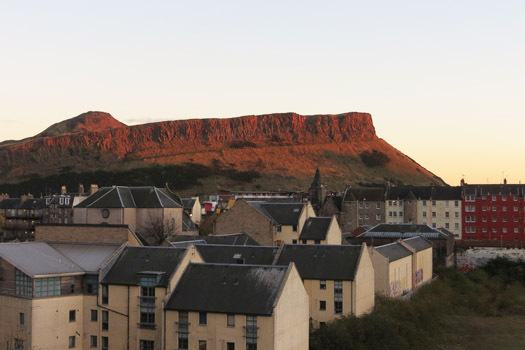 Head up onto Arthur’s Seat at sunset and watch the shadows fall over the dark and narrow streets, or be there at dawn as the city is bathed in love’s first light. If there’s a woodland retreat more romantic than this, our hearts may explode. This idyllic rural eco-cabin is nestled deep in the woods, overlooking the spectacular peaks of the Cairngorms National Park. Heated by a cosy wood-burner and illuminated with candle lanterns, guests can snuggle up beneath a stargazing window on the indulgent king-size bed. Oh, and there’s also a wood-fired hot tub in the garden and a dry heat sauna just two minutes away… swoon. 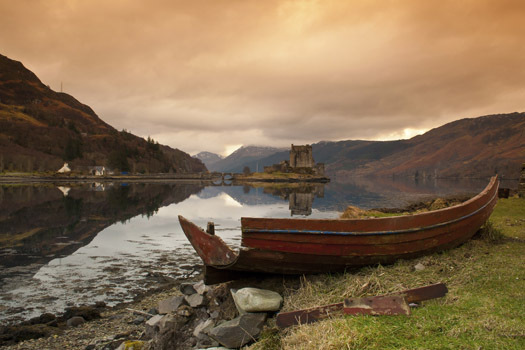 Located on the way to the phenomenally beautiful Isle of Skye, Eilean Donan Castle is a mirror image of the rugged, bleak and windswept landscape that surrounds it. Standing at the point where three lochs meet, access is restricted to just an ancient stone bridge – that is unless you decide to row across. A viaduct? Okay – it might not sound desperately romantic, but the archaic Glenfinnan Viaduct is a thing of beauty nestled within the dramatic landscape of the Western Highlands. 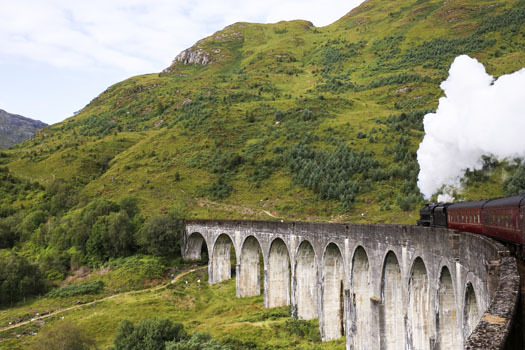 If you’re feeling flash, hop onboard the old-fashioned Jacobite steam train that runs passengers across à la Hogwarts Express. Alternatively, roughing it in 2nd class on a regular train from Glasgow will do the trick. 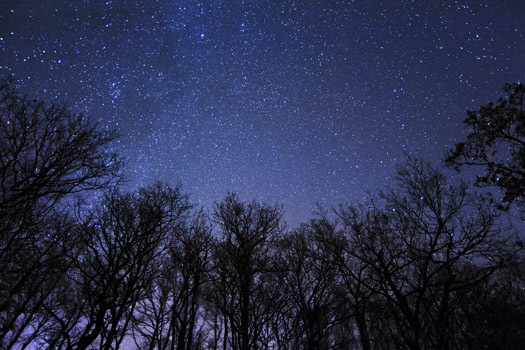 It doesn’t get much more romantic than spending a night beneath the stars on the pure white sands of Calgary Bay. Free wild camping in this northernmost spot equals desolate and paradisal. There’s all the modern conveniences – parking and public toilets – but no caravans or motor homes allowed. It’s no coincidence that St Andrews is the UK’s number one destination for falling in love; the sheer beauty of the place inspires it. 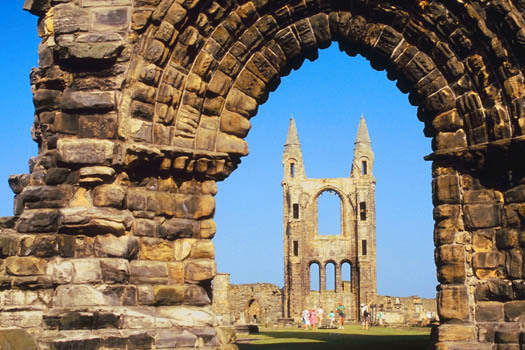 The dramatic ruins of St Andrews Cathedral are especially sublime, and demonstrate the scale and magnificence of a cathedral that was once the biggest in Scotland.